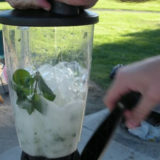 Classic mojitos made in a blender! Perfect for those lazy summer days. Who has the muscles for muddling?! 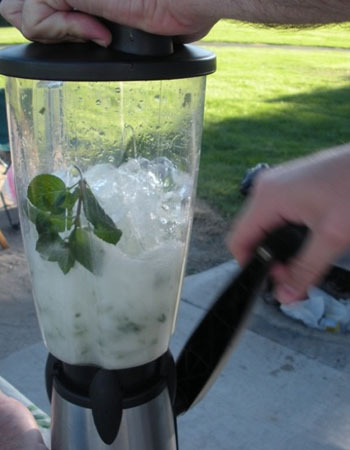 I’m sure there are some that would say making a mojito in a blender is sacrilege, but when we’re camping, if it’s good, it’s golden. I firmly believe in putting the “campy” into camping, after all. And when any recipe involves our friggin’ awesome hand-crank blender, all the better – not to mention easier. We enjoyed these refreshing numbers while basking in the sun over in Eastern Washington this past weekend. And if your garden is overflowing with mint like mine is, all the more reason for you to chop chop and enjoy, too! 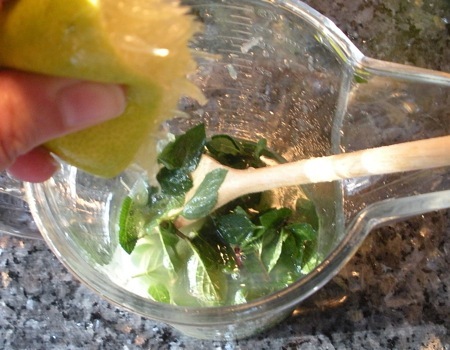 Throw the mint leaves and the sugar into a pitcher. Smoosh it around a bit with a spoon to get a bit of the mint oil out of the leaves. Roll the limes on the counter to help release the juice, slice them in half, and squeeze into the pitcher. You can even press a spoon into the lime halves to eke out every last bit of juice, if you want. Next: If you're camping and your guy is waiting outside with the awesome hand-crank blender at the ready, take the pitcher outside for the next step. Or you can do this with your blender inside, too. 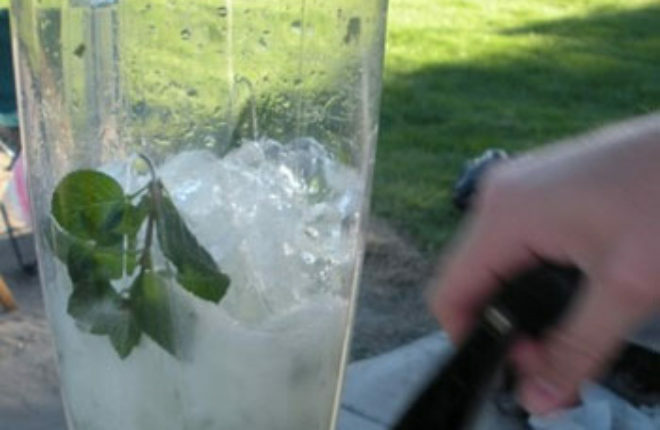 Fill the blender with 4-5 cups of ice cubes. Pour half the mojito mixture in, and blend on a low speed for 5-10 seconds, just until the mint has been chopped and the ice is a little smaller. 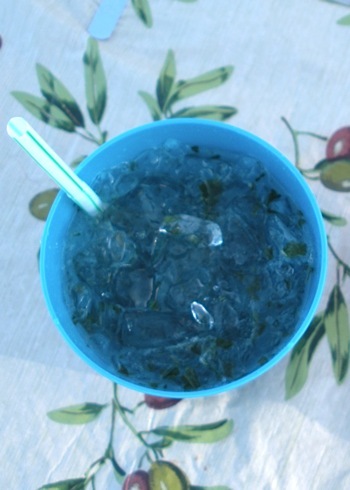 Divide the mixture between two large glasses, top with club soda to taste. Pour the second half in the blender, and do it again. Now just drop straws in, pass 'em out, and let the party begin! During our recent Maui vacation (shut up, I know) I tried a Pomegranate Mojito. LAWD it was GOOOOOD! I yapped so much about how good it was, the bartender gave me the recipe. I would lurve to share it with you if you think it sounds good!